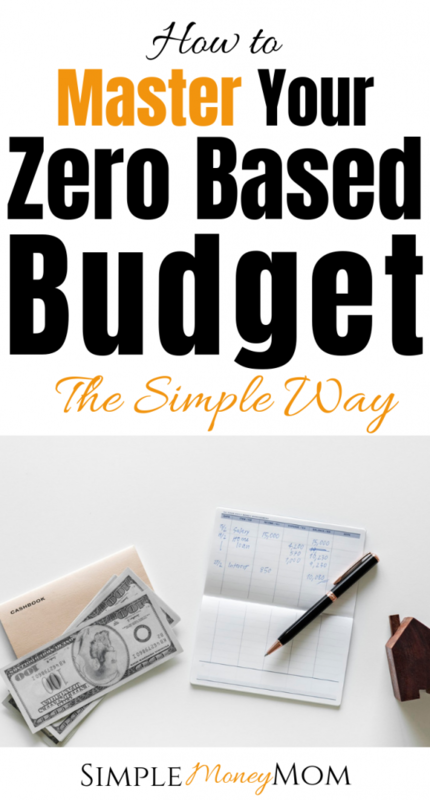 How to Make A Zero Based Budget that Works! What is a Zero Based Budget? A zero based budget is when the total after subtracting your expenses from your income is zero. Having a zero based budget allows you to control exactly where your money is going. Every dollar must have a purpose, even if that purpose is labeled as “misc”. This post contains affiliate links. Please see my disclosure page for further details. Why is a Zero Based Budget Important? Having a zero based budget gives you the ultimate control of your money. When you dictate where you money should go and follow it, the results can be extremely rewarding. I recently learned of the term more than two years ago when I came across Dave Ramsey and the Total Money Makeover. The term Zero Based Budget scared me and the thought of having nothing left over at the end of the month or the end of the paycheck really turned me off to finding out more. I was living paycheck to paycheck at the time and it sucked. Why would anyone want to live paycheck to paycheck on purpose? I kept telling myself this as I went along with my own budgeting system. After really digging into the zero based budget system, I realized that I had been using the zero based budget this whole time! The reason I was able to pay off $26K in less than 2 years was because I had the discipline to follow my budget that I created. Now I’m going to share it with you! I want you feel that feeling of being debt free and I would love for you to achieve that financial freedom that you’ve always wanted. Creating a zero based budget is actually really simple, especially if you have a pretty straightforward job and steady income. Can you budget to zero with irregular income? Of course. You’ll have to base your income off of your lowest paycheck first. Pay the most important bills and then when the check actually comes into your account, apply any extra to the rest of the expenses until your next paycheck comes. Let’s get started! I’m so excited to show you! The first thing you’ll need to do is add up every single dollar you anticipate earning. This will include income from your job, alimony, child support, side hustle income, disability, investments, ect. Since I budget paycheck to paycheck and I only have one job, I only have one source of income for each paycheck at this time. I also budget without my husband’s income, meaning, I manage the entire household on my income alone. I do this for many reasons but mainly, I like the control. We may combine incomes in the future but for now, it works for us. Your fixed expenses include things that do not change from month to month. Now, you may decide to cancel the cable service or switch providers that could change your amount but for the most part, they are still fixed. Some examples of fixed expenses are: Mortgage/Rent, Homeowner’s insurance, Car Notes, Car Insurance, Student Loans, Cable/Satellite, Internet, Trash, Cell Phone, and Life Insurance. Do not forget the quarterly, semi-annual, and annual fixed expenses! These expenses can creep up on you so make sure to include it. Some examples of these expenses are: yearly dues, association fees, annual subscriptions, and membership fees. Variable expenses are costs that change based on your own consumption of a product. For example, if you use your vehicle more, you may find yourself spending more money on gas. If you turn up your thermostat in the winter, your electricity or home gas bill will increase. Variable expenses are still expenses that you need but the amount that is charged is not the same each month, even the due date may change. Or, you may not even have a due date. Some examples of variable expenses are: Groceries, Fuel, Electricity, Water, Sewer, Gas, and Clothing. 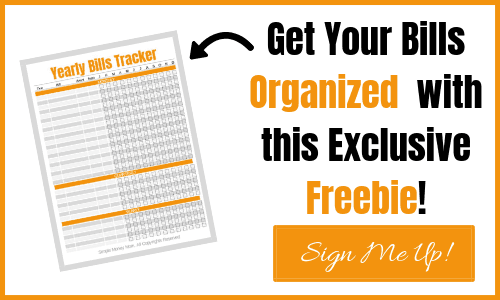 For your sanity and to help you keep things nicely organized for the year, I have created a Yearly Budgeting Bill Tracker for you to download for FREE. Budget Buffer? Yup. Also known as the “oopsie fund”. 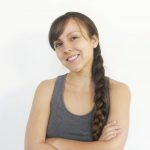 The Budget Buffer has saved me multiple times in my financial journey and was the reason I never realized I was actually using a zero based budget in the first place. This is the amount that you will leave in your checking account after all bills and expenses are paid. Your account will actually never reach zero and you should never have to pay those annoying overdraft fees again. Sometimes, we make mistakes and sometimes we as moms forget from time to time. I know that the more kids I have, the more foggy my brain seems to get and the more my memory fails me. The Budget Buffer will be there for those instances and the better you get at using your budget and knowing your spending, the smaller your buffer will need to be. I currently keep mine at $100 each paycheck. Some people call this discretionary expenses, allowances, or blow money. I like FUN money instead. After all, this is the fun part. A budget isn’t fun if you don’t allow yourself to have it, right? So, add it to the budget. Don’t go overboard with it though, if you budget too much fun, you won’t have any money left over to pay off debt or save. If you feel like you are having a hard time with figuring out how much to put toward your FUN, then consider saving this for step 7. Some examples are but are definitely not limited to: Birthdays, Concerts, Spa days, Shopping sprees, and Sporting events. This is where you will figure out how much to put towards debt payments. I always put this after the fun because if you don’t allow yourself blow money, then you will lose any drive to continue your budget. I used the debt snowball method to pay off my debt. Essentially you pay the lowest balance first, then apply that payment toward the next lowest balance. You gradually increase your payments, they get bigger and bigger, like rolling a snowball until you are debt free. Next, is your savings turn. I save at 3 times in my budgeting system. First, I save immediately from my paycheck with direct deposit. I do not see this money at all when I get my paycheck in my account. It is automatic. This is what I call “pay yourself first”. The next time I save is in this step 7 of the budgeting process. After I have subtracted my fixed, variable, and buffer expenses from my income, I use what is left over to determine how much I will divvy up for the next categories of FUN, Saving, and Debt Payoff. If your have a savings goal, this is where you will add to it. I highly suggest you start your budget with a $1,000 emergency fund. It will save you when the unexpected comes knockin’ on your door. Get a flat tire? Don’t put it on the credit card that you just made a nice payment on. Instead use the emergency fund, then pay yourself back without interest. If you already have an emergency fund, great! You are already ahead of the game, mama. I would then suggest adding some savings to your sinking funds. Or begin building your fully funded emergency fund. Saving for a vacation? Saving for a birthday party? Saving for Christmas? Or maybe you just want a household savings for when the home needs some fixing. Sinking funds are a great way to save for yearly expenses that could creep up on you. Already have sinking funds? Time to invest! Take your income from Step 1. Subtract Steps 2-4. Use what’s left to determine how you will divvy up the savings, fun, and debt payoff categories. The goal at the end of your budget calculations should reach zero. This means that every dollar that you expect to earn has a job. You really have control over how you tell each dollar to work for you. Are you really focused on paying off debt? Decrease your savings in Step 7 to just $5 instead of $25 and move it over to Step 5. The choice is really yours and it’s up to you to follow your map. As you progress in your budget, take a moment to reflect where you are and how you are doing. If you start to get sidetracked, try to focus on WHY you created a budget in the first place. It always brings me back to reality putting a halt to my late night spending sprees on Amazon. After you have reached the end of your budget, it’s time to crunch the numbers to see if you were actually on track. You will need to make the necessary changes for the next month’s budget. You should be pretty dang close. Like I said before, it can take time to master your budget. 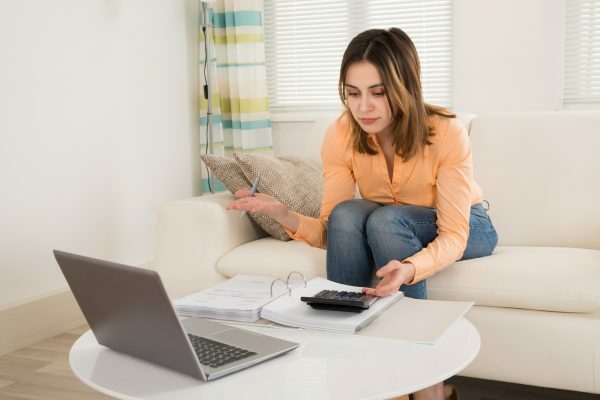 You may not know what to budget for when it comes to variable or discretionary expenses as these can change quite so. What Can I Do if my Zero Based Budget Doesn’t Zero Out? Sometimes this can happen and it takes time, especially if you are just starting out with budgeting. The whole process can take up to 3 months to master as long as you follow your road map. If you are having a particular difficult time, I urge you to go ahead and reach out to me. I can help point out some disparities in your budget and recommend some personalized tips to help you along the way. If you are left with a negative number, this means that you have a negative cash flow. The first thing I would do is cut back on unnecessary spending. Be brutally with yourself here. Ask yourself if you really need a $200 FUN account each paycheck. Or maybe your grocery budget is a little unrealistic. If you have cut discretionary spending (temporarily), then it’s time to look for cheaper rates for your fixed and variable expenses. I was able to save $675 in 2 hours worth of my time by negotiating my bills. If you have cut back on all spending and have the lowest rates on all of the bills to the best of your knowledge, then next would be to decrease your savings. If you calculated everything right and you really have a negative cash flow, then your extra savings is just going to have to wait until you get above the water. If you have done all of the above, the next thing to go is the debt payments. After that, you may have to find ways to make more money. This is actually not a bad problem to have. This means that you have a positive cash flow. Here are some things you can do to capitalize it: Apply more towards debt payments, apply it to your fully funded emergency fund, create sinking funds, invest, and give! Having a zero based budget will give you the ultimate control of your money. This will lead to the financial freedom you have been trying to achieve. Don’t Forget to Download your FREE Yearly Bill Tracker to keep all of your bills organized for the year! You can do it! I used the snowball method myself but in hindsight, I wish I would have used the Avalanche method instead. Thank you for stopping by and good luck in your debt payoff journey! Great advice! Money issues are such a strain! These are very practical steps to get you back on track. Thanks! Thank you Cindy. I know that having a budget system that is practical and easy to follow is super important for all of us busy moms. My goal is to see you succeed. Have a wonderful day! Some days I wished money never existed. Managing budgets is just so tough some days. Girl, me too sometimes. Like can we just go back to the days where we traded services? Times have definitely changed. So has the way we manage money. I hope that I can be a resource for moms to come back to. Thanks for visiting! this is really similar to how we do our budgeting and we’ve been great without any issues! Jasmine, that is awesome! I love to hear these things. Wishing you the best, mama! Such great tips! We follow a very similar budget in our house! Thank you Taylor! It’s an awesome budgeting technique that unfortunately not many know about. I’m hoping to spread the good word. This is a great way to budget and the sense of control it gives. It’s good to know exactly where your money is going. I like to know where it’s going for sure. It really helps when you’ve got a big financial goal you are working toward. These are brilliant ideas and so simple to implement. Trying some of these out for our family! Kathryn, that is awesome! Feel free to reach out if you would like any clarification. Happy budgeting!